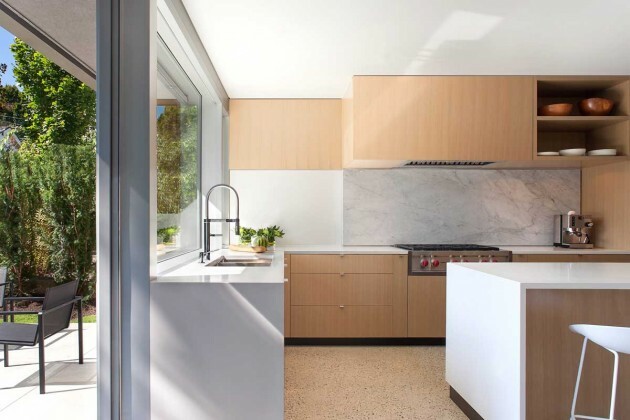 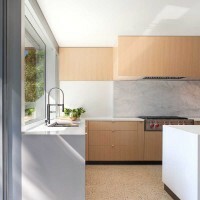 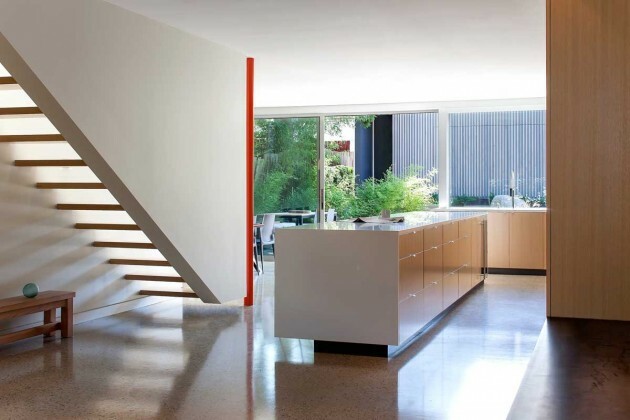 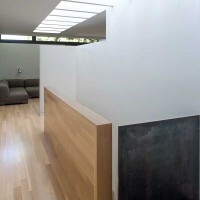 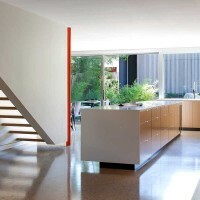 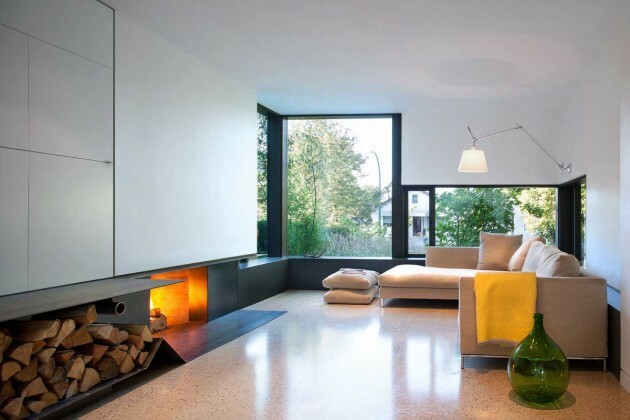 D’Arcy Jones Architecture have recently completed the contemporary renovation of a 1980’s ‘Vancouver Special‘ house. 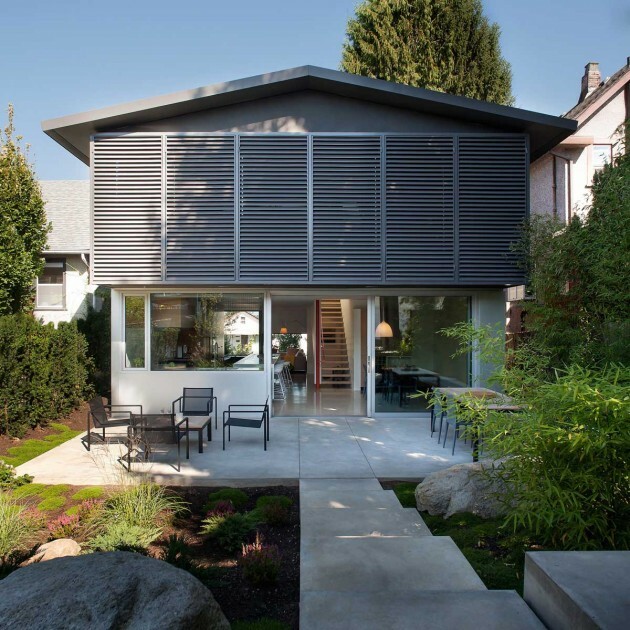 This renovation of a 1981 Vancouver Special on a 33 foot wide lot retained the entire foundation and structure of the house. 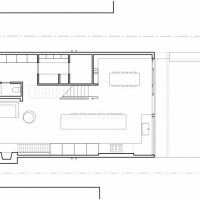 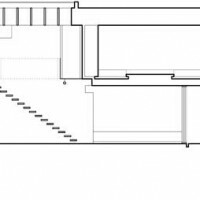 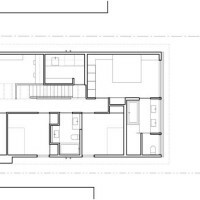 The interior layout was flipped, moving the kitchen, dining and living areas from the upper floor own to the main floor, so the most important interior spaces could be at grade. 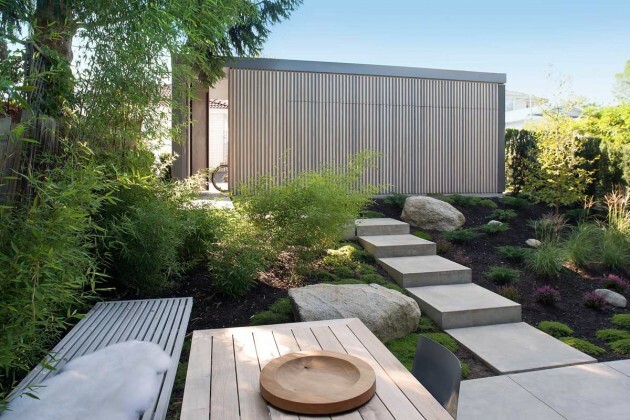 A new parallel-parking open carport was built off the lane, to preserve more of the back yard for a new landscaped garden and terrace. 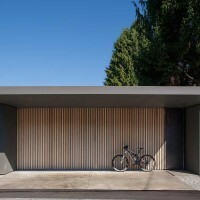 The house was wrapped in a new exterior skin with carefully placed windows, to connect all interior spaces to the front and back yards. 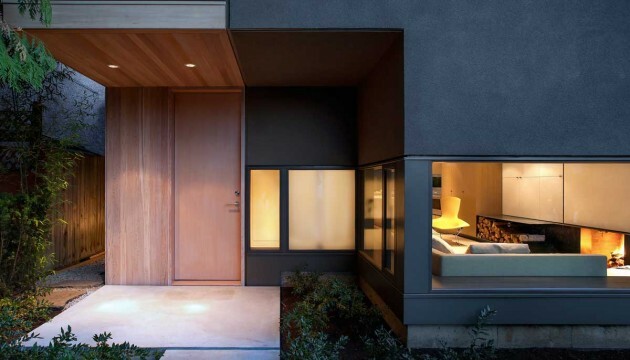 This house that was once dark and generic is now filled with light and air.